GigE 2k and 4k models are the latest additions to the Teledyne DALSA range of Linea line scan cameras. They offer an unparalleled range of capabilities to keep performance high and costs low, opening up even more applications to line scan imaging. The unique TurboDrive technology allows both Linea GigE cameras to utilise the full speed of the advanced CMOS sensor (up to 80 kHz line rate) with no loss of image quality. Other features such as burst mode, multiple ROIs, cycling mode and extended dynamic range imaging add exceptional process and image flexibility to the benefits of 100 m data transmission distances offered by the GigE Vision interface. The compact, lightweight and robust Linea GigE line scan cameras benefit from breakthrough data transfer technology. The proprietary and patent-pending TurboDrive innovation overcomes the GigE bandwidth limitation by allowing line rates to be accelerated from the standard 52 kHz for the 2k version and 26 kHz for the 4k version to the full 80 kHz allowed by the sensor. In addition, the burst mode maximises system data throughput, by capturing images in high speed bursts faster than allowed by GigE and buffering them for transfer during idle times. Further data handling efficiencies are provided by the multiple regions of interest (ROI) capability. Only the important areas of the image need to be captured, allowing data transfer and processing load to be reduced, which not only helps boost performance but also reduces system cost. Exceptional processing flexibility is offered by the cycling mode which allows users to choose different settings for each line and cycle through up to five different user-controlled configurations. This enables every line to be set for a different light source, lighting angle, exposure time, gain, and more, allowing more information to be obtained from a single pass with a single camera. In this way, Linea cameras can replace more expensive and multiple camera sets, or camera and frame grabber combinations, reducing overall system cost and complexity. 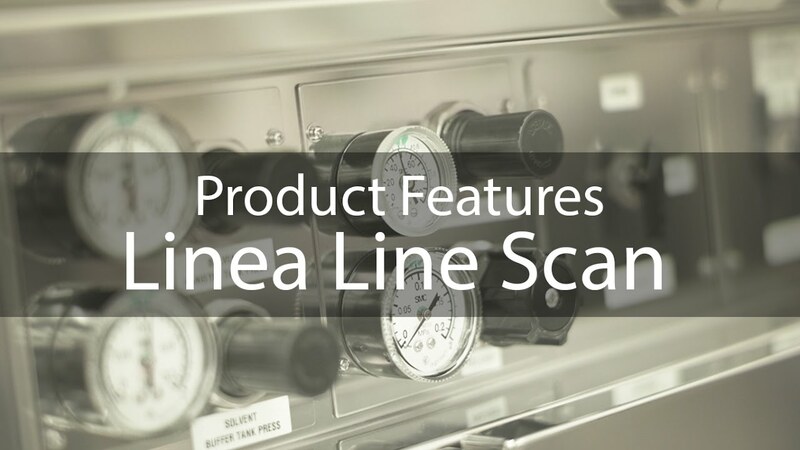 Linea offers excellent image quality through its in-house manufactured CMOS sensors with high quantum efficiency and low noise. In addition, the cycling mode offers extended dynamic range imaging by combining short and long exposures to reveal details in bright and dark areas of the image at the same time, simplifying lighting requirements and reducing cost. Other features of the cameras include fully-fledged flat-field correction, smart triggers through programmable GPIO and calibration coefficients for various lighting conditions. The new Linea GigE line scan cameras take full advantage of the Sapera LT Software Development Kit (SDK) and the field proven Trigger-to-Image-Reliability framework for image acquisition and control, non-intrusive monitoring and tracking images throughout the acquisition process. All Linea cameras are supported by STEMMER IMAGING´s software library Common Vision Blox (CVB) and are delivered together with the free CVB CameraSuite.